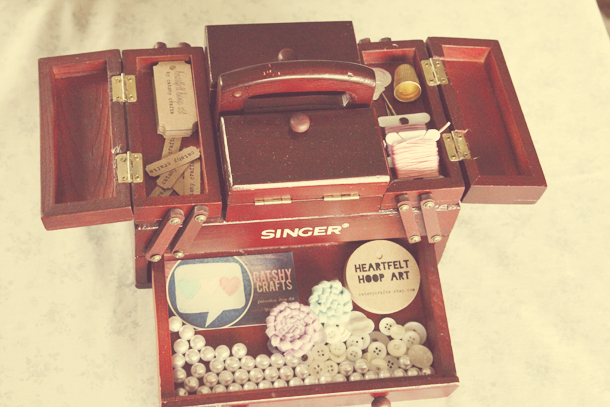 Definitely one of my all-time favorite thrifty finds is this vintage wooden accordion-style Singer sewing box. With drawers and a flip-up top and compartments for stowing needles and buttons and thread, this little box is not only functional but a great piece to put on display. When I was photographing my space for my Etsy Featured Shop interview, I took dozens of photos with this in the background and foreground. 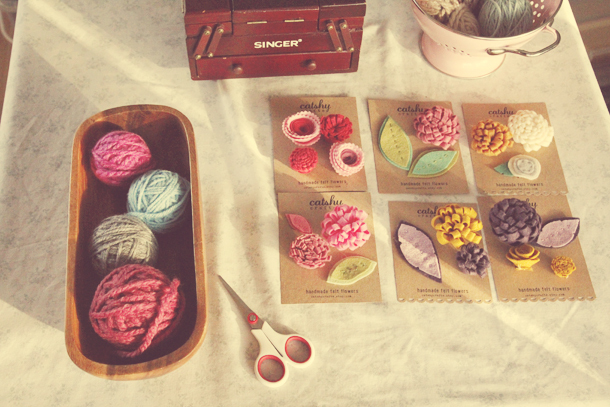 It is a perfect prop to represent Catshy Crafts' sensibility. 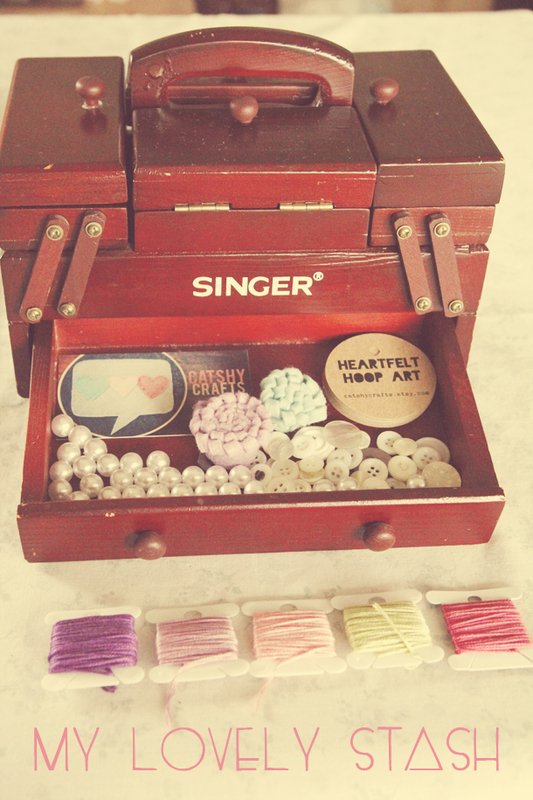 I store my tags, faux pearls, buttons, business cards and various sewing notions in this beauty. I think it was pretty good find ($12) at my local Goodwill! p.s. If you missed my post introducing this new photo series, My Lovely Stash, go here.